We had lots of fun making light up valentines over the past week. The goal was to make a valentine that could be turned off and on. Lots of great, innovative switches! Go-Car Challenge: More things to do with motors! We know with making how important it can be to make a tight budget go far. If you're going to invest in our Educator Packs of Doodlebots, what else can you do with those motors? We've already mentioned the Bubble Maker Challenge in a previous newsletter. Something else we've done with our motors is make Go-Cars. I got the idea for Go-Cars from one of my favourite resources, Tinkering: Kids Learn By Making Stuff by Curt Gabrielson. (Awesome book and that's a library link. It's also worth checking out the Community Science Workshop.) 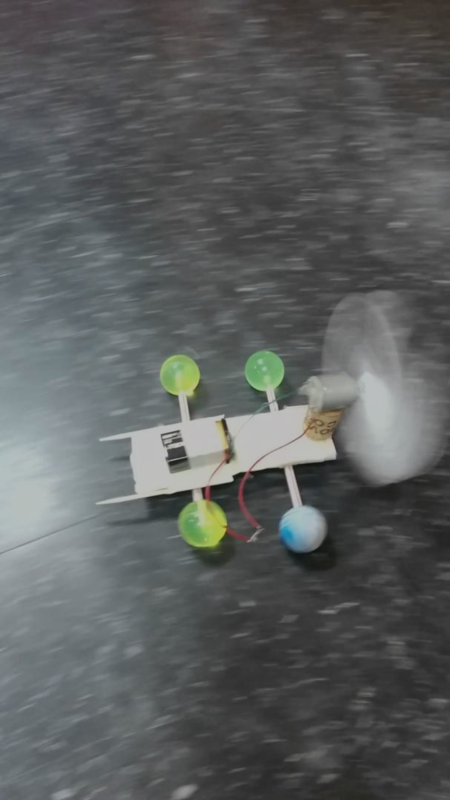 Essentially, with Go-Cars, you are using the same motor the Doodlebots use to make a fan that pushes enough air to make the car go. The Go-Car was a difficult challenge. Not everyone was successful! But when we got it working, it was really exciting!